A good view of the runs on Black Mountain, at Cypress Mountain in West Vancouver, while riding the Sunrise Quad up Mount Strachan first thing in the morning. The straight run at the far left, middle of the frame, is the new section that will be the moguls and aerials venue at the 2010 Olympics. 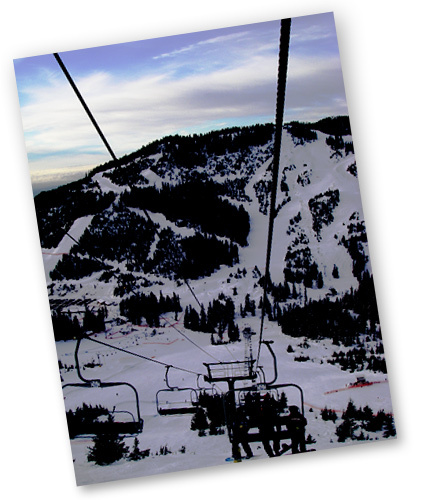 I’ve put a larger photo showing more of the aerials and moguls section at Flickr.